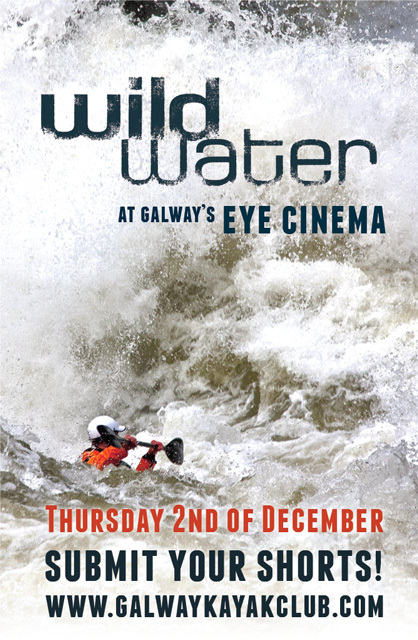 Galway Kayak Club in association with Forge Motion Pictures are proud to announce that we will be hosting the European Premiere of their new film Wildwater at the Eye Cinema, Galway on December 2nd 2010. Director Anson Fogel will be present on the night to present his latest work to a European audience for the first time. We are inviting the submission of local paddle & watersport movies from around Ireland and the best submissions will feature on the night! Tickets: €15/€12.50 and are available online now, advance booking is advised!